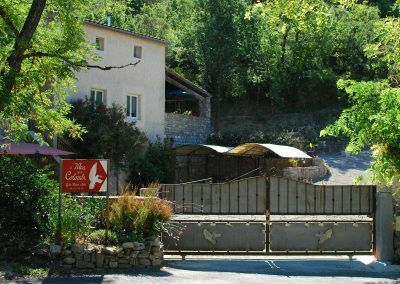 One big lodge, or three small ones. 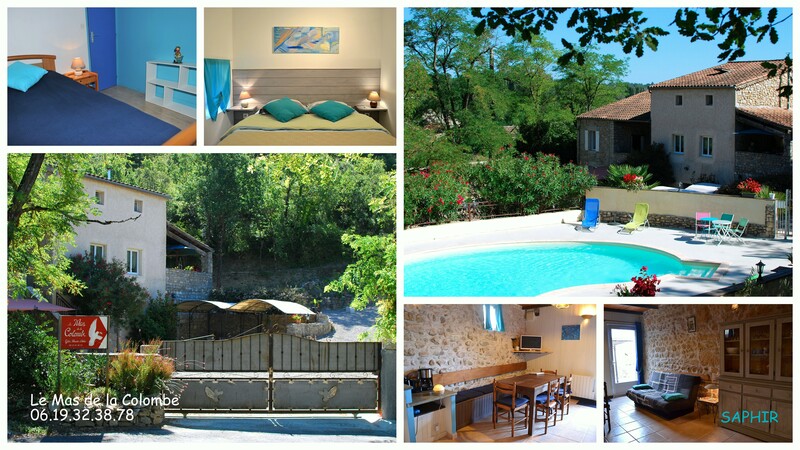 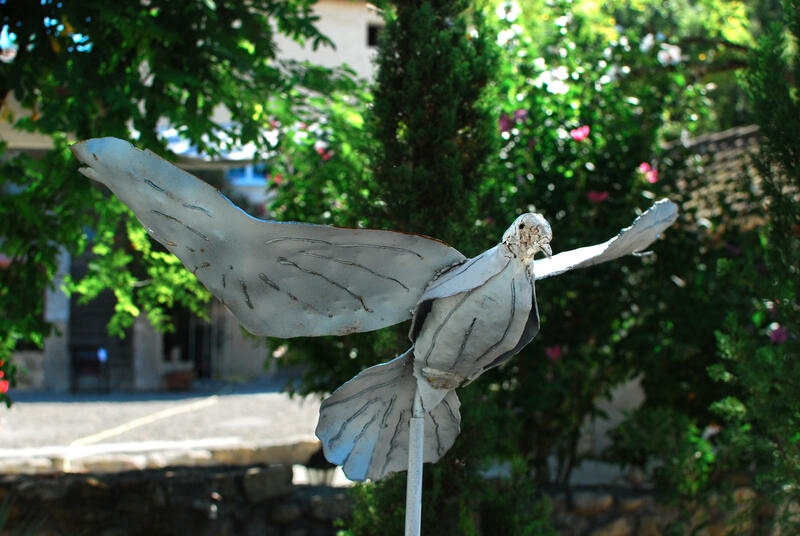 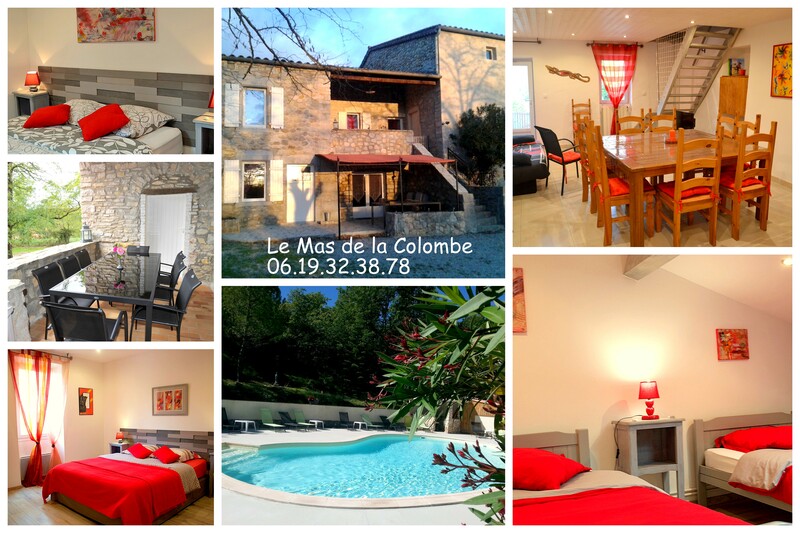 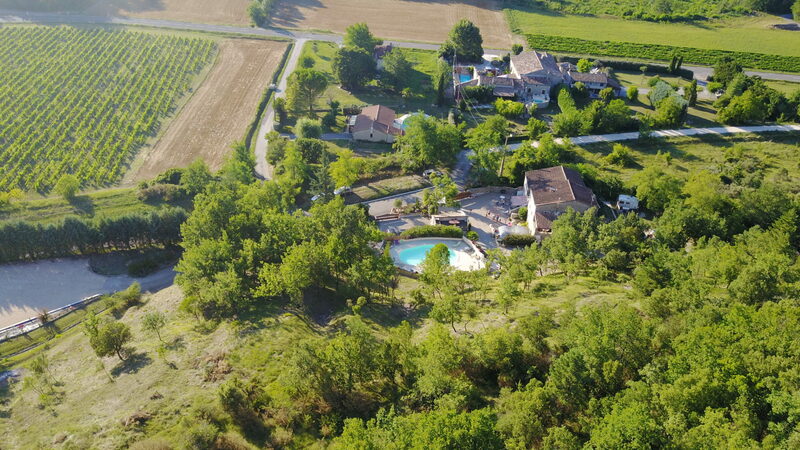 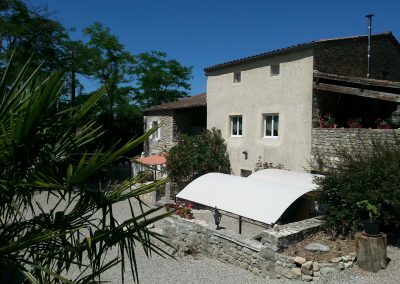 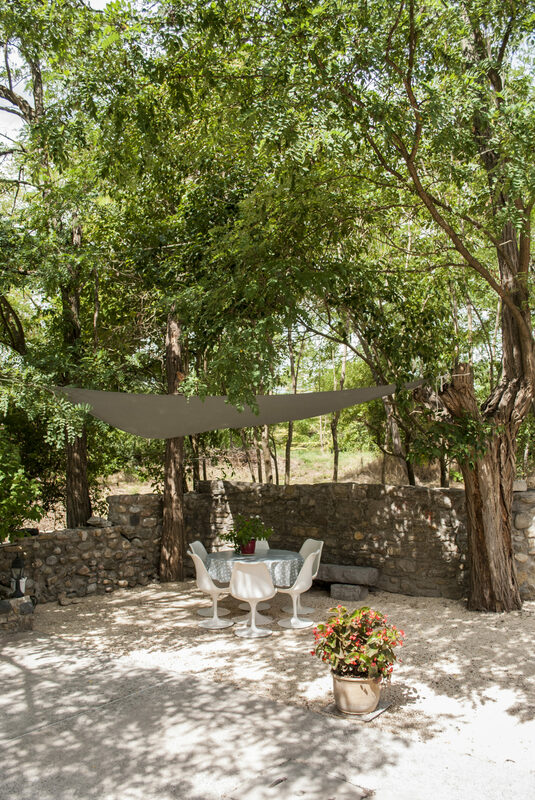 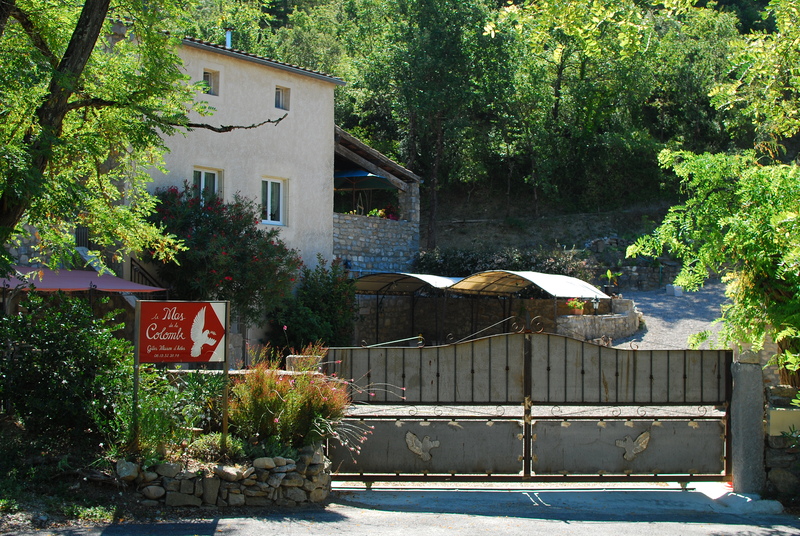 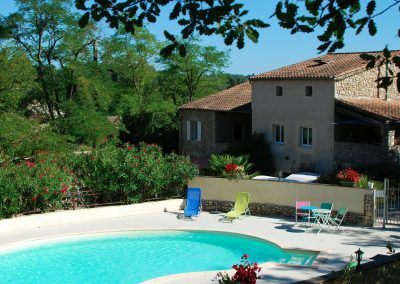 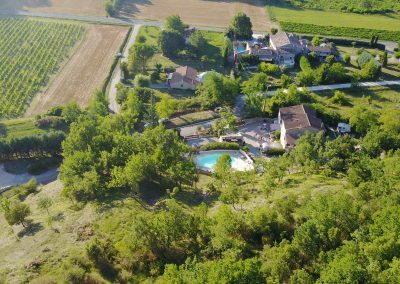 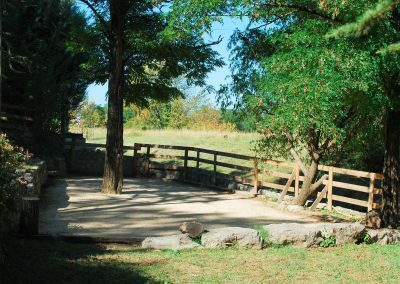 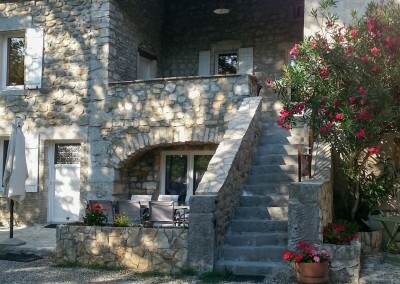 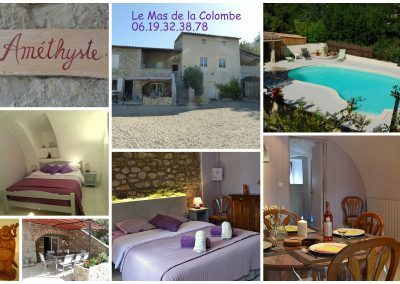 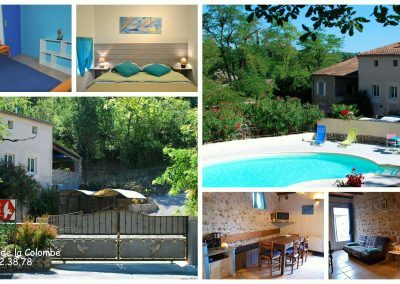 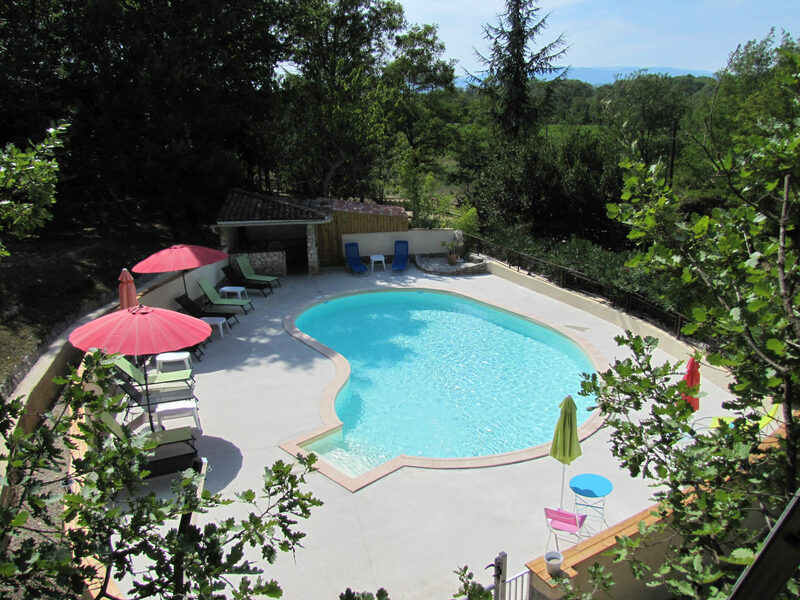 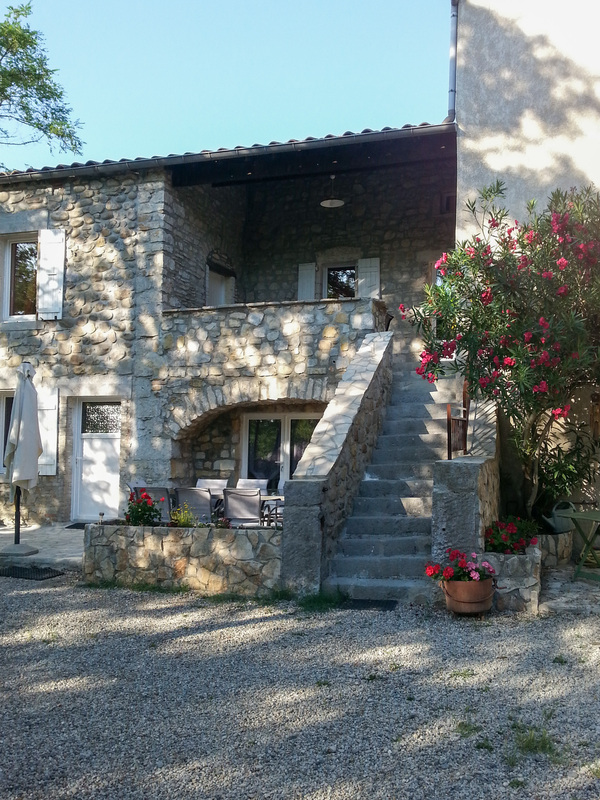 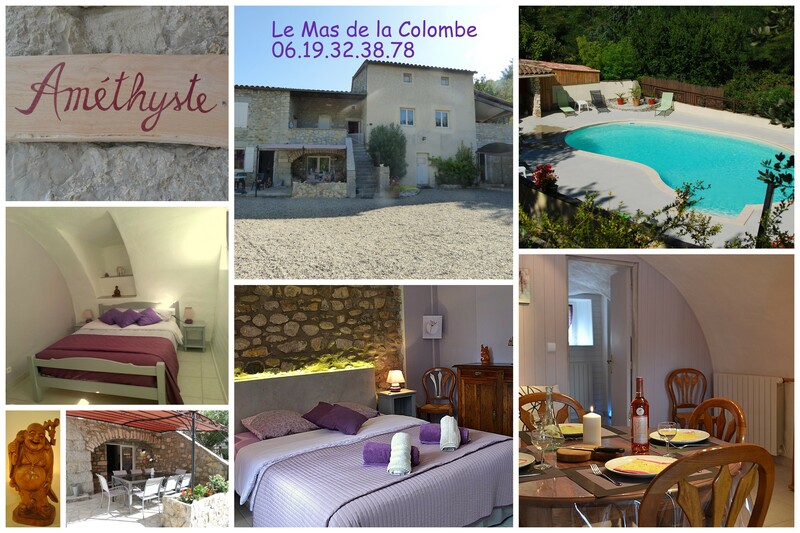 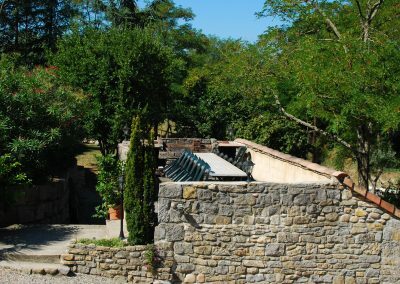 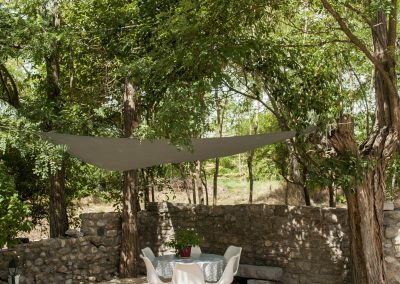 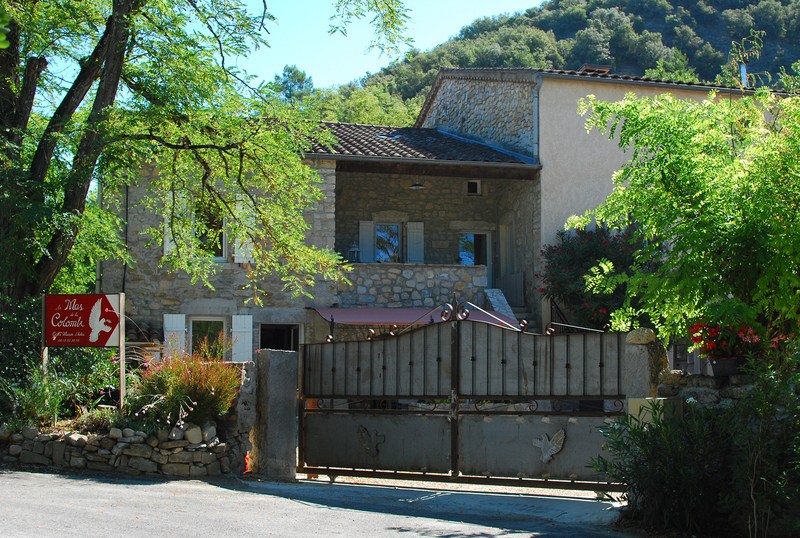 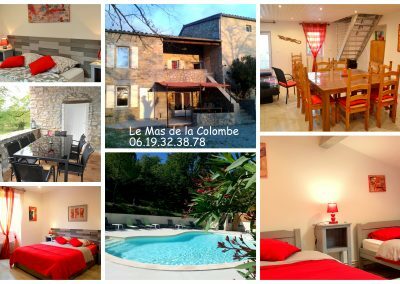 In southern Ardèche, in a delightful setting, 4 km from Ruoms 12 km of Vallon-Pont-d’Arc and the Chauvet cave, called Cave of the Pont d’Arc, the Domaine du Mas de la Colombe welcomes you all year in a beautiful area of 3200 m² carefully renovated as gites. 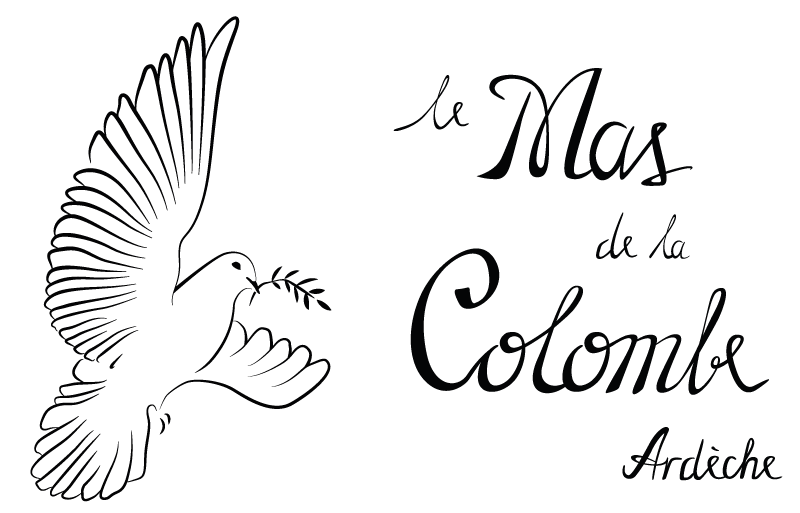 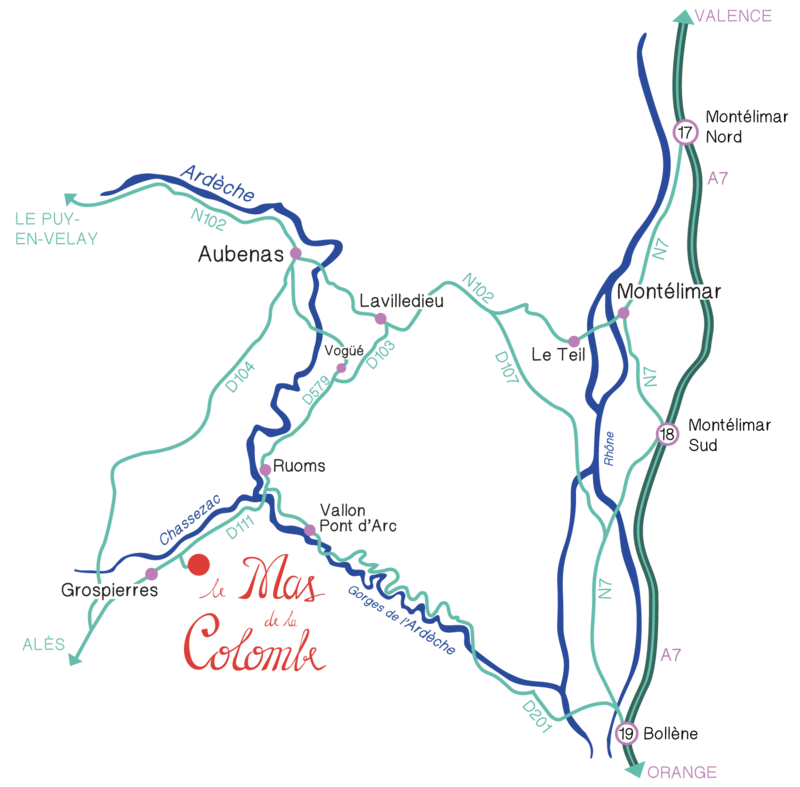 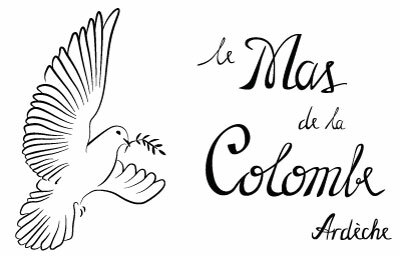 Le Mas de la Colombe welcomes you for a weekend or a week for family reunion, friends’ meet-ups, for a seminar or for your associative group. Le Mas can split itself in three totally independent cottages. 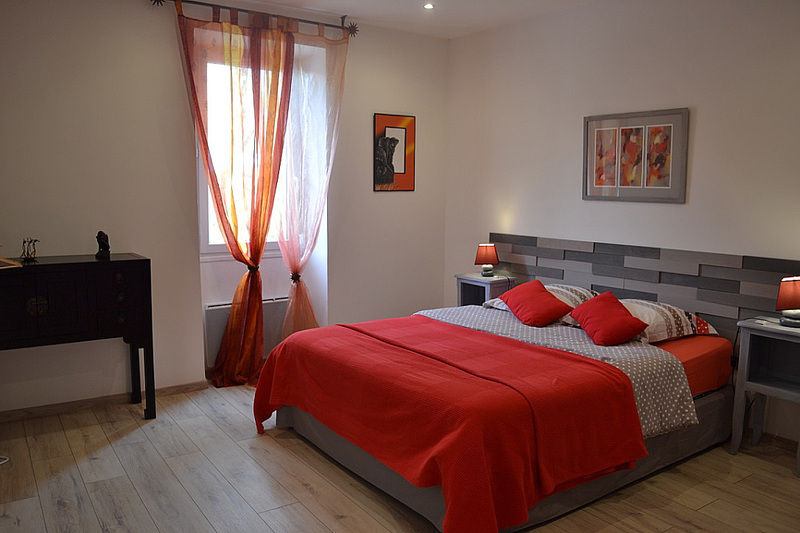 Looking for a guest room? It is also possible.  We offer guest rooms in the Mas de la Colombe, in low season or all year except in June, July and Christmas and New years. 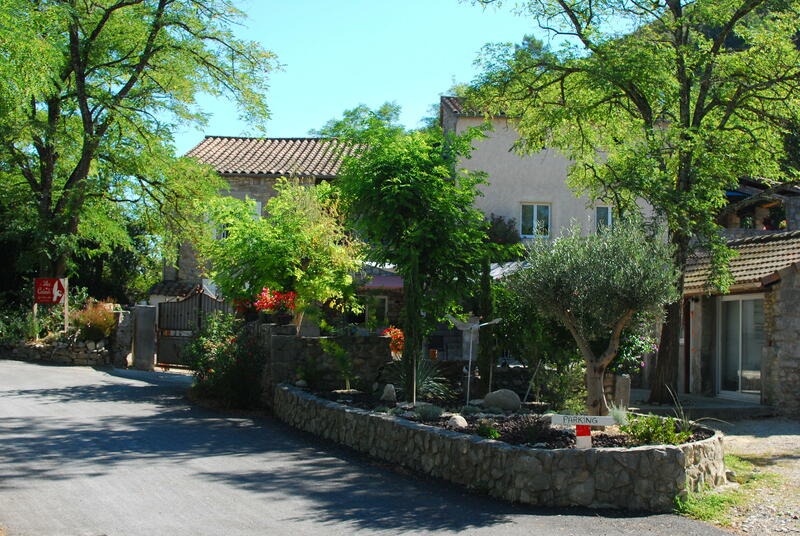 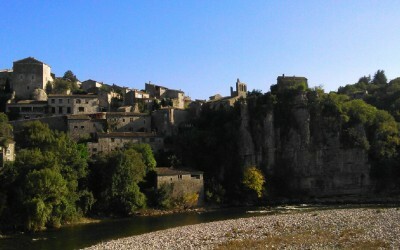 Located in the town of Grospierres, central location for discovering the Ardeche, 860 inhabitants with shops (supermarket, tobacco and petrol station, restaurant), activities (buggy, tree climbing, golf, cycling trails and GR4 departure, this list is not exhaustive) and a lovely craft market on Sunday evening (during the summer). The proximity of Ruoms (4km) with its many shops (supermarket, tobacco, pharmacy, medical center, etc. 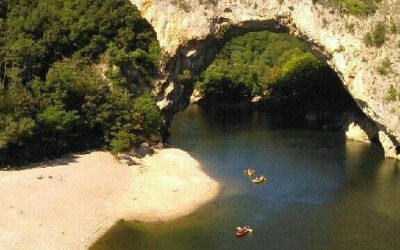 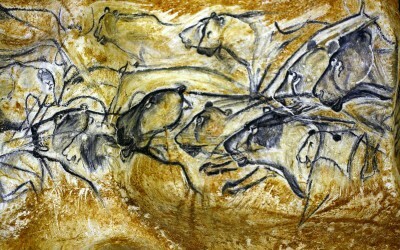 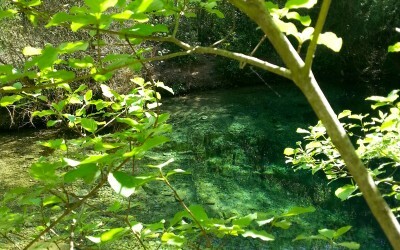 ), diversity of landscapes and numerous activities will delight you and your holiday. 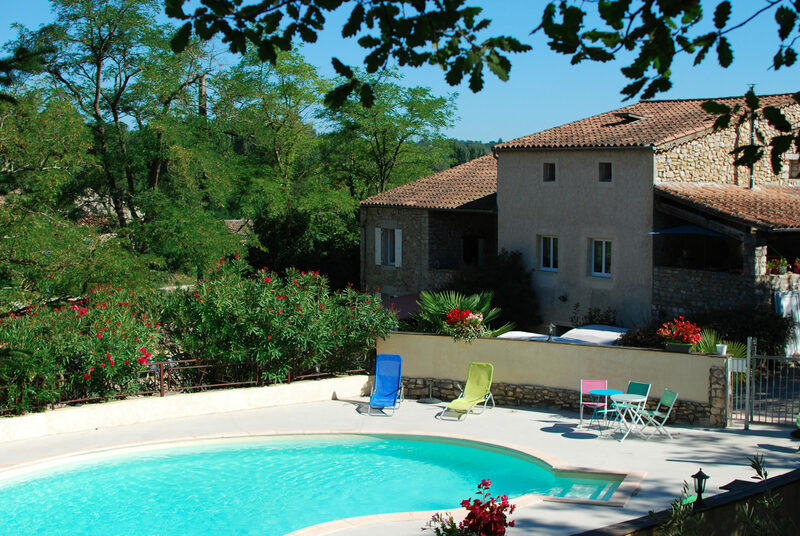 Use our online tool to find availability for the whole Mas or one of the cottages. 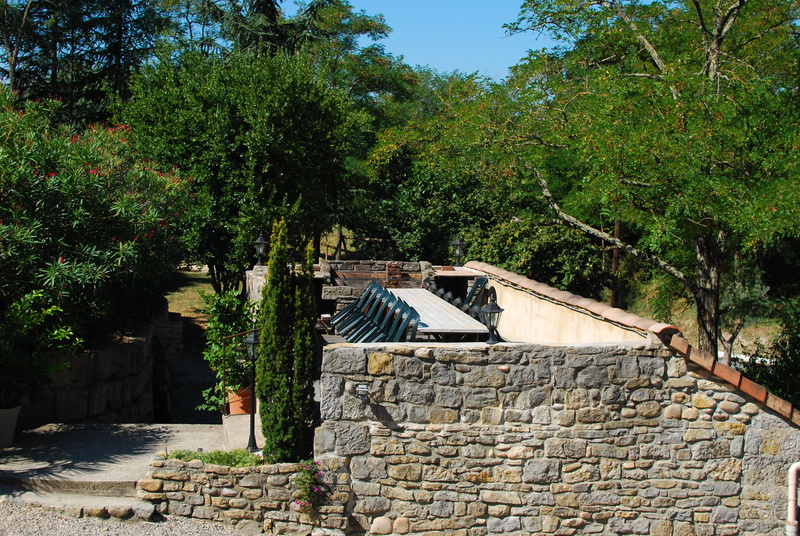 Otherwise, do not hesitate to contact us by email or telephone.